Thank you for the care and thought in making the arrangements for Mum's funeral. The Team were very respectful and considerate in helping us through the process and were very attentive throughout. The family are particularly grateful to Jeanette, Marie and Stuart in making sure everything went according to Mum's wishes. Dear Sandra, Thank you for taking the time to complete a 5 star review. I will ensure your comments are passed on to Jeanette, Julie, Steve and all colleagues involved, which I'm sure they will be touched by your kind words. Kind Regards Andrew Turnbull - Branch Manager. Dear Clive, Thank you for taking the time to complete a 5 star review. Its really nice to read about the level of service you have received from Jeanette, Marie and Stuart - I will ensure they get to read your kind words. Kind Regards Andrew Turnbull - Branch Manager. Dear Nicola, Thank you for taking the time to complete a 5 star review and your kind words. I will ensure your comments are passed on the team. Kind Regards Andrew Turnbull - Branch Manager. Dear Sue, Thank you for taking the time to complete a 5 star review - your kind words will be passed on the team. Kind Regards Andrew Turnbull - Branch Manager. Our funeral planner was Jeannette Fogg and she could not have been kinder, she was sensitive and considerate and made a difficult task a lot smoother than expected. All the staff at the main branch on Tritton Road were very kind and helpful also and we found the location calm and serene. The chapel was ideal for the service and everything went very smoothly on the day, with wonderful service from David Gault and his team, also Sharon who supervised the service and reception and attended to the music. We are all very grateful for everything done to help us cope with a very difficult occasion, thank you! Dear John, Thank you for taking the time to complete a 5 star review. Your comments are really appreciated about all the colleagues on how helpful they have been to you and your family. I will ensure my colleagues get to read your kind words. Kind Regards Andrew Turnbull - Branch Manager. Dear Penny, Thank you for taking the time to complete a 5 star review, your comments are really appreciated. Kind Regards Andrew Turnbull - Branch Manager. As always, the staff acted in a very professional manner and everything ran smoothly. Dear Patricia, Thank you for taking the time to complete a 5 star review. It's a pleasure to read about my colleagues professionalism and I will ensure they get to see your kind words. Kind Regards Andrew Turnbull - Branch Manager. A very good service and clear advice throughout with support along the way. Dear Melanie, Thank you for taking the time in completing a 5 star review. I will ensure your kind words are passed on to the team. Kind Regards Andrew Turnbull - Area Manager. From start to finish they were fantastic. Jeannette was lovely made me and my brother very comfortable and very karm. They kepted me informed with everything. The day of the funeral Sue and her team was fantastic very helpful very careing and comforting at such a sad time. A big thank you to you all. Dear Carolyn, Thank you for taking the time in completing a 5 star review. Its very nice to read such lovely comments about Jeannette, Sue and the team. I will ensure your kind words are passed on. Kind Regards Andrew Turnbull - Area Manager. Dear Ruth, Thank you for taking the time in leaving a 5 star review, I will ensure colleagues get to see your kind words. Kind Regards Andrew Turnbull - Area Manager. Dear Antony, Thank you for your kind words, I will ensure Aly and Andrew get to see your comments. Kind Regards Andrew Turnbull - Area Manager. Dear Susan, Thank you for providing such lovely feedback on how helpful colleagues were for you. I will ensure the team gets to see your comments. Kind Regards Andrew Turnbull - Area Manager. Thank you to both office based staff and, in particular David and the team who attended my aunts funeral on the day. Their care and consideration made a difficult occasion much more comfortable than it may otherwise have been. Dear Paul Jarman, Thank you for taking the time in completing a review. Its a pleasure to read about the high level of service you have received from the team. I will ensure they all get to see your comments. Kind Regards Andrew Turnbull - Area Manager. Very kind and respectful, kept me informed of all details at all times. I would highly recommend them to anyone needing funeral services. Dear Patricia Aldridge, Thank you for taking the time in completing a 5 star review. I will ensure your positive comments are passed on to the team. Kind Regards Andrew Turnbull - Area Manager. Dear Cynthia, Thank you for taking the time in providing a lovely 5 star review. Your kind words are really appreciated. I will ensure colleagues get to read your comments. Kind Regards Andrew Turnbull - Area Manager. Everything was completely to Plan. From the 2, gentlemen that collected Tony from our home to Ally in the office, the pallbearers and the lovely Gemma that proformed the celebration of Tony’s life. They really were the best...thank you All very very much. Dear Brian, Thank you for taking the time to complete a 5 star review, your kind words are really appreciated. I will ensure Aly and colleagues gets to see your comments. Kind Regards Andrew Turnbull - Area Manager. Outstanding service from all the staff.Our special thanks to Marie,Aly and David. Dear Keith, Thank you for your comments, I will ensure colleague get to see your kind words. Kind Regards Andrew Turnbull - Area Manager. Constant communication, nothing was too much trouble. Ali from Bracebridge Heath made the whole process easier and was very easy to contact. The respect and compassion shown was second to none. Thank you for all your help at this difficult time. Dear Stephen, Thank you for taking the time in leaving a 5 star review. It is lovely to read about the level of care and compassion you have received from Aly and the team. I will ensure colleague get to see your comments. Kind Regards Andrew Turnbull - Area Manager. Good idea but not many people were aware of this website. Dear Julie, Thank you for taking the time to leave feedback about Funeralzone. Kind Regards Andrew Turnbull - Area Manager. 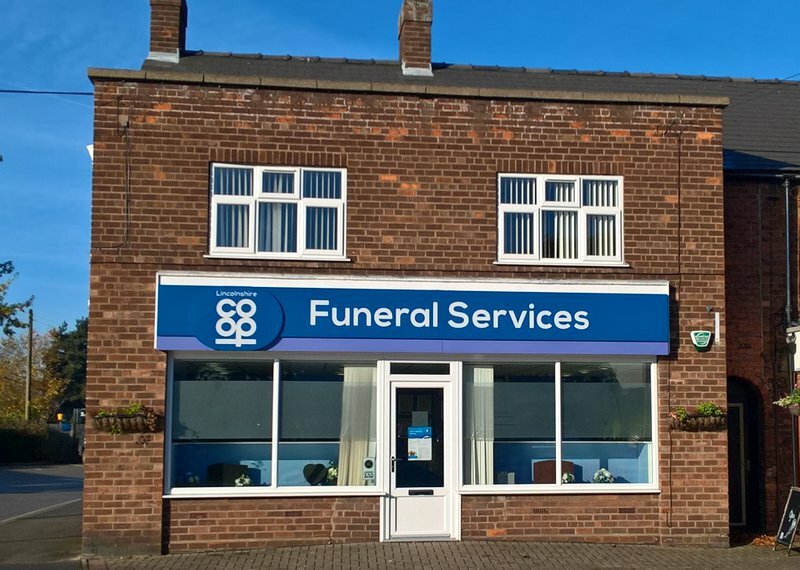 We were extremely pleased with the warm, efficient and compassionate service which we received from Aly and the team throughout our dealings with them over our Father’s funeral. I would strongly recommend this company to anyone in the need. Thank you for everything. Dear Victoria, Thank you for taking the time to write a 5 star review. I will ensure your kind words are passed on to Aly and colleagues. Kind Regards Andrew Turnbull - Area Manager. Thank you so much for your services on such a difficult day! The professionalism was second to none. From the moment you picked everyone up to the moment you dropped everyone off the level of service was brilliant. Everyone commented on how the service was great and how the coffin looked and flowers etc. You made edens send off that much better, and for that we as a family can’t thank you enough! All the best for the future, And hope everyone has a lovely 2018! Love gareth, Jessica& Olivia. Dear Jessica, Thank you for taking the time to leave such a lovely review. It's a pleasure to read that the service you received was of such a high standard throughout. I will ensure colleagues get to see your review. Kind Regards Andrew Turnbull - Area Manager. Genuinely very caring with attention to detail. Dear Colin, Thank you for your review. I will pass on your kind words to Aly. Kind Regards Andrew Turnbull - Area Manager. 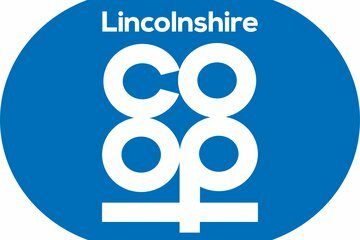 Bracebridge Heath Co-operative Funeral Service will provide you with a free obituary as part of their service.